Android has a got very important place in our Tech World.Now in market you can get many devices running on Android like Smartphones to Tablets, Tablets to Camera and i can simply say that the major Portable device in the market are running on Android.But there is no PC running on Android, So if you want then you can run Android on your PC. 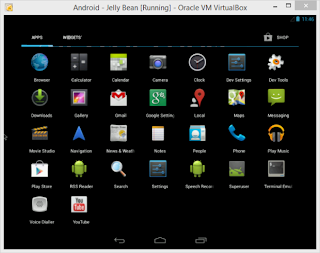 Download all the things needed in this process and then go through the below step to install Android OS on you PC. After Downloading the Virtual Box.Install the Virtual Box on your System and while installing it may ask you to install a new network adapter so not to worry. 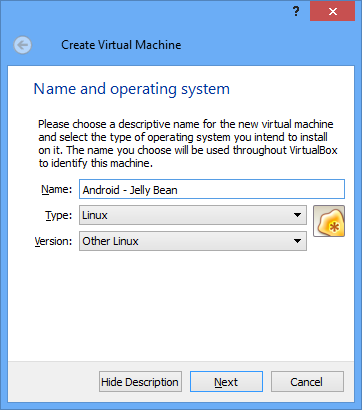 Now Launch the Virtual Box and create a new virtual machine, this is going to be where you gonna run Android OS.Click on New button and after that name your machine.Now select Linux from Type Drop down list and then other Linux in version.Finally hit Next. Now set the memory Slider to 512 MB or more this is the RAM which Android OS will be using and click Next. 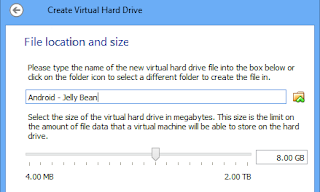 Now create a virtual Hard Drive and click on Create.Select VDI and Click Next button and select the Fixed Size button also and final proceed by Clicking Next. 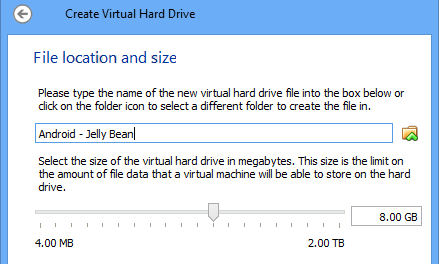 Choose how much space do you want to allocate the Virtual Hard disk and also select the Location where do you want to create this disk. 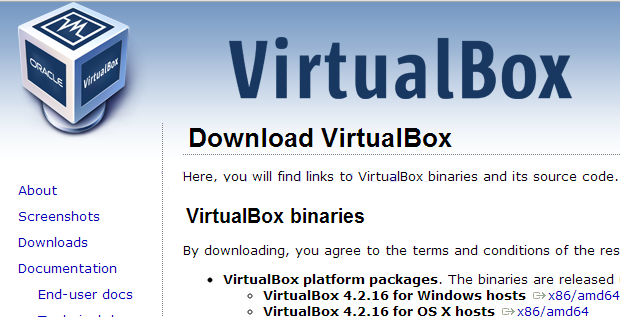 Now Select the new virtual machine you created above.Then click on Settings button, then Click on Storage on the left hand side and at the last click on Empty entry in the Storage Tree. Now select Chose a Virtual CD/DVD disk file from right side menu.And Browser the Android ROM file that you downloaded and Click on open.Now Switch ON your Virtual Machine by Clicking on the Start Button at the top Toolbar. It will Show a Blue Installation Screen like below Screen Shot.Select the Last Option Installation by Scrolling down down from arrow keys and hit enter. Now Select the Create/Modify Partion option.And Select New at the bottom of the screen and press Enter key.Select Primary option and press enter to create a partion which will occupies your virtual drive. Now select the Boot able option and press enter, select the Write option and press enter, then type yes (to confirm) and press Enter again.Select Quit and choose the partion you created above and press Enter. 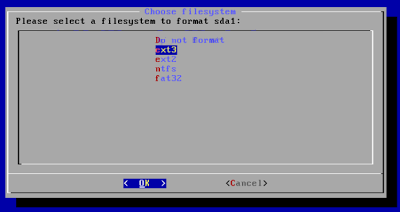 Now you will be asked to choose the File System.Choose ext3 File System and select yes to confirm. Now be patient as it will take some minutes to install Android, select yes to install it and select yes again to make the system directory writable. 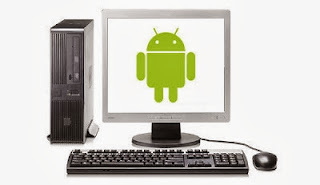 Now Finally you will be Prompted a Congratulation screen showing that you have successfully installed Android OS.Now Just run Android OS by hitting enter. 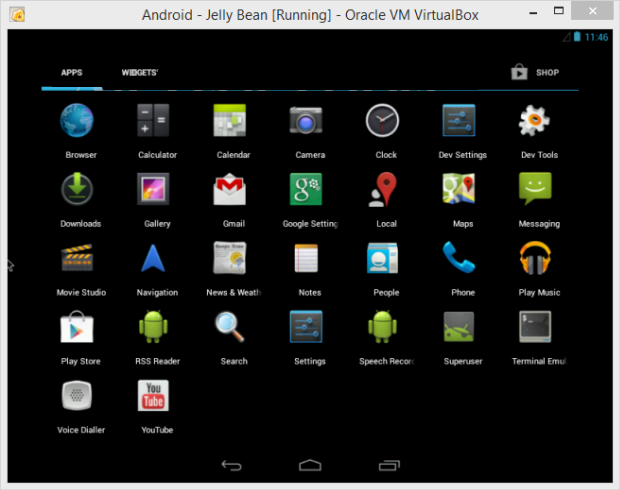 Now you are done you installed the Android OS.Now just configure the OS for the first time and enjoy Android !! It will work only if u have USB mouse.